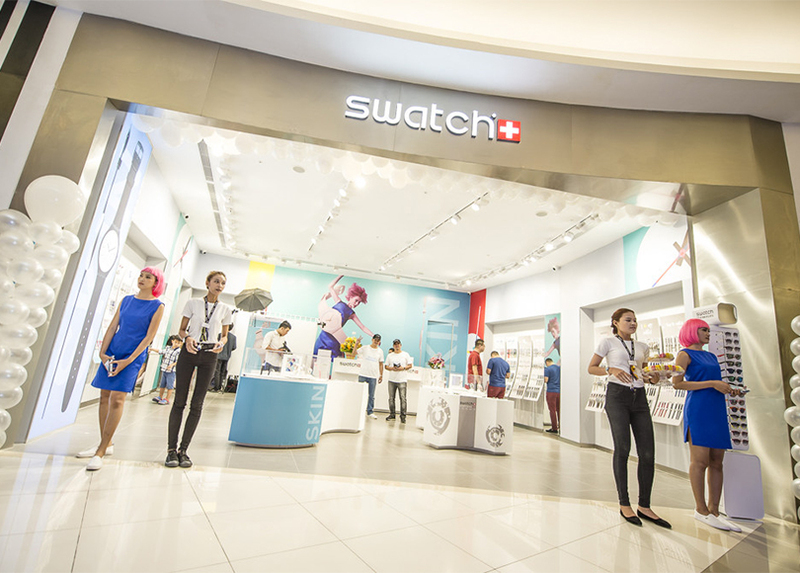 SOHO Diversified Brands opens its first Swatch store in Cambodia at Ground level of Aeon Mall Phnom Penh. Launched with SKIN watches collections #yourmove campaign, promoting simplicity & minimalism. This flagship store will cater and attract many watch enthusiasts, Swatch collectors and followers. Swatch is a Swiss watchmaker founded in 1983 by Nicolas Hayek. Swatch is the most successful watch of all time – and its parent company, the Swatch Group, was to become the largest and most dynamic watchmaking company in the world.